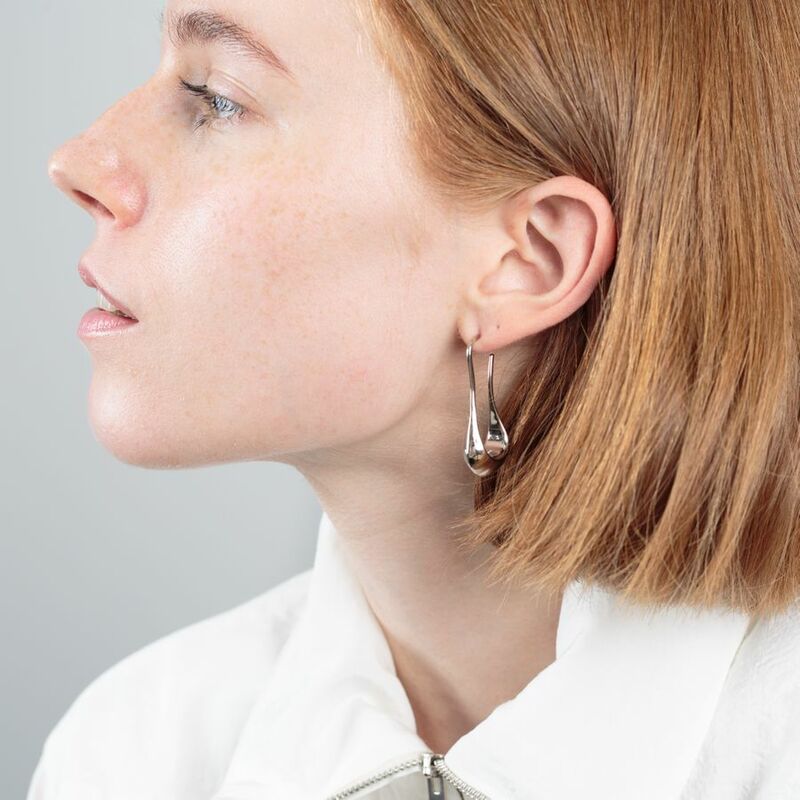 Short Drop Earrings from Lemaire. 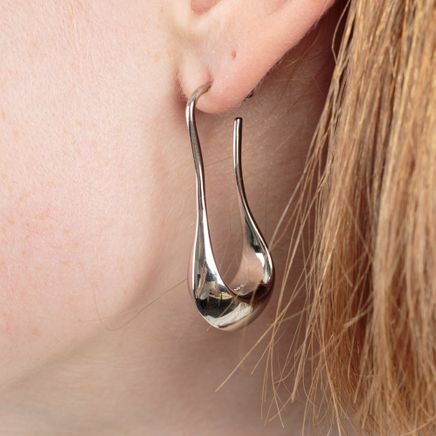 Earrings with a weighted elliptical drop in silver-tone brass with post-stud fastening. Drop measures approximately 4 cm. Sold as a pair. Made in Italy.